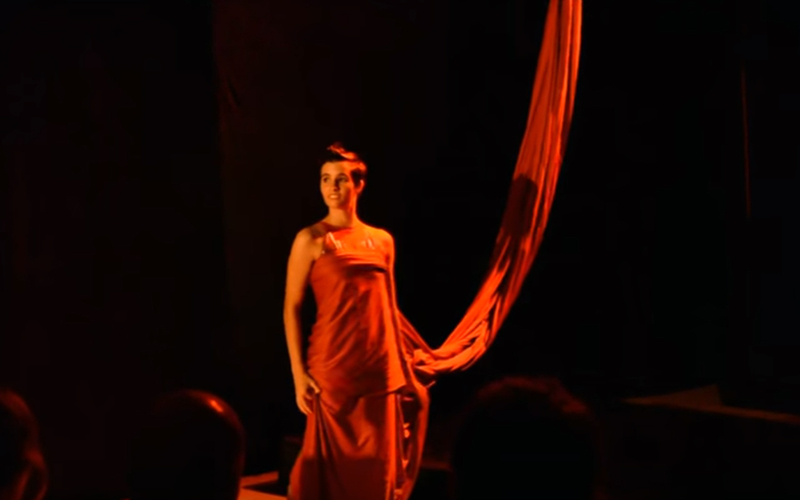 Rouge is the show that starts the theatre festival at the Casc Antic of Barcelona in 2015. 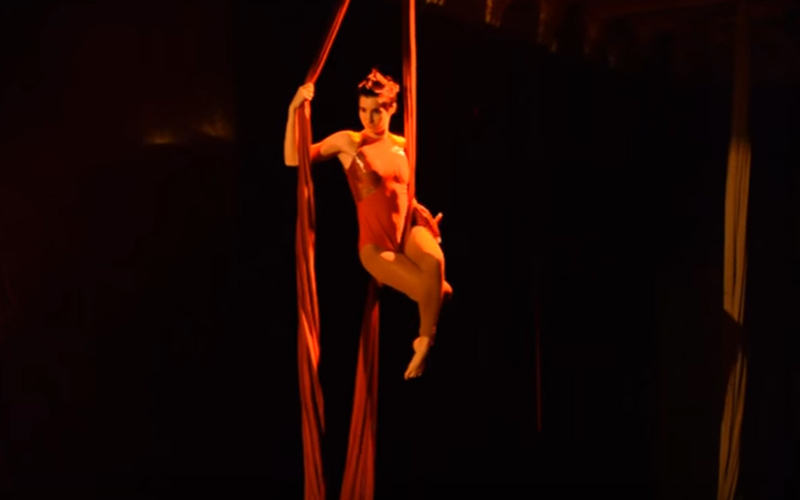 It is composed of several aerial disciplines acts linked by the same color, the red color. 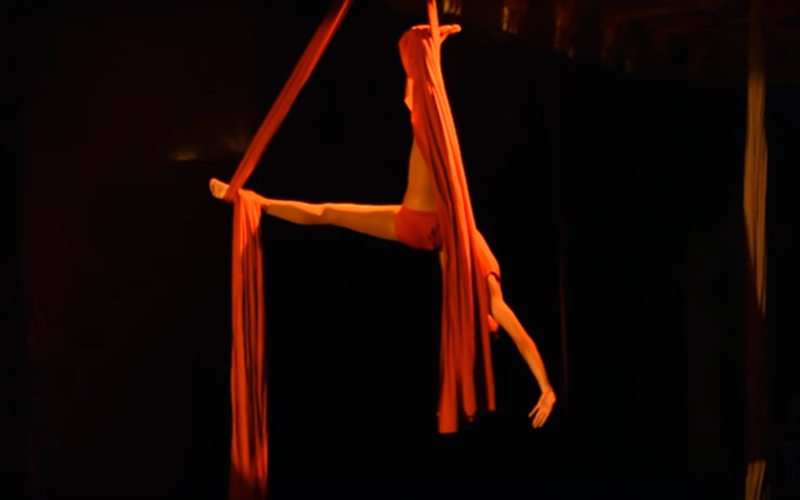 The act which I perform is an aerial silks act.